Not gonna lie, I have been looking forward to writing this article for a while. There is something indescribably special about players irons. 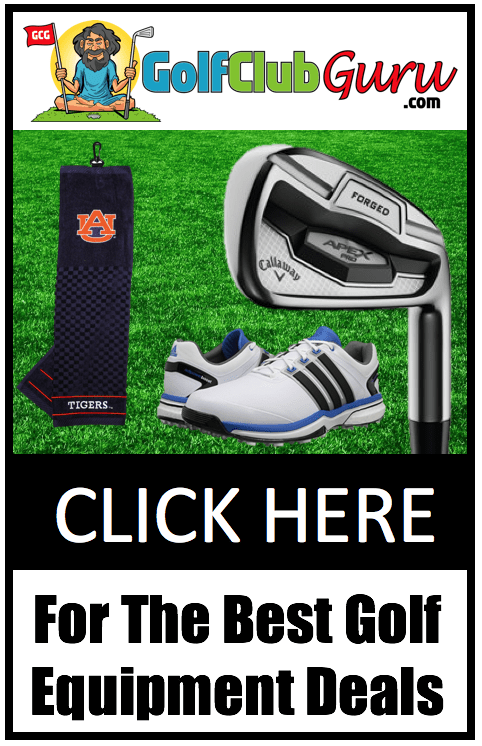 I could honestly walk around PGA Tour Superstore and check out their players irons all day long and never grow tired. Alright, enough about my borderline unhealthy obsession with sleek designs and exceptional distance control. 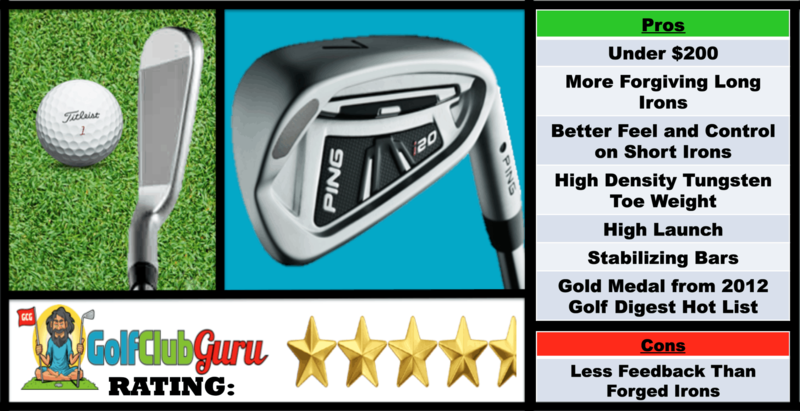 As a general warning, if you are not confident with you ability to consistently hit the center of club faces, you might should check out my top 5 lists of the best value game improvement irons and best value super game improvement irons on a budget. 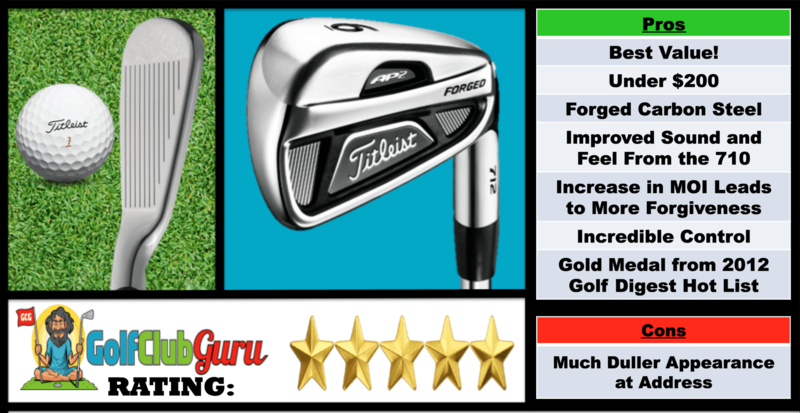 What’s the difference between players irons and game improvement irons? Game improvement irons are more forgiving, and in exchange you give up some distance control and feel. Players irons, on the other hand, require more precise contact on the club face, and you are rewarded with improved feedback, workability, and distance control. 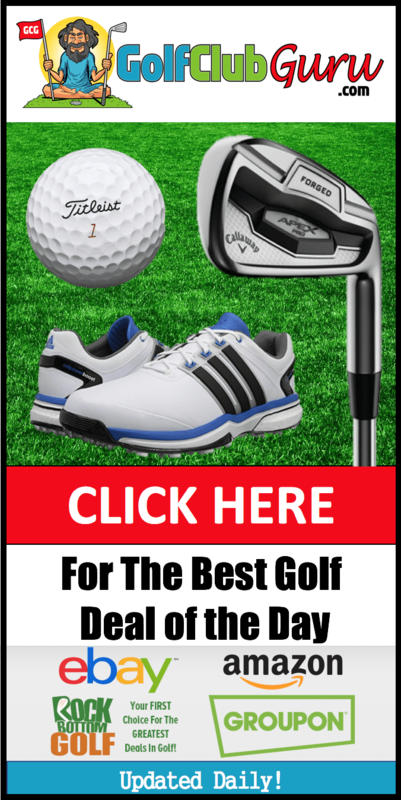 Note: all of the links and photos below, if you click on them, will take you to the respective listings at eBay – the best value marketplace for golf clubs. Odds are, you know someone that has gamed the Titliest AP2 irons. Normally I would encourage you to ask them for their feedback, but I can almost guarantee what they will say. The reviews for the AP2’s are always stellar. I came very close to buying a set myself if it weren’t for a deal that I couldn’t pass up elsewhere with a set of Mizuno’s. Made from forged carbon steel, the AP2 712’s have an improved sound and feel compared to the AP2 710’s, which was one of the few cons associated with the earlier set. The only downside to these now, in my opinion, is the somewhat dull appearance at address. The amount of control is incredible in this set. Gone are the days where you hit a solid shot and it ends up 20 yards over the green, or 10 yards short. You can guarantee that, if you hit it right, it will go where you want it to. Overall, this club is the perfect combination of distance, feel, and control that low handicap players look for in irons. Ah, I will never forget the Callaway X Forged irons. My best golf buddy that I used to play with all the time had a set of these. I loved every shot he let me hit with them, and I saw first person what they were capable of in his hands. Aside from my personal experience with them, many others tout the distance gains when they made the switch. The triple net forging makes these one of the best feeling iron sets that Callaway has ever made. Along with the feel, you get great feedback on mishits, easily being able to tell when you hit it off the toe or heel. One problem that even some low handicappers have complained about is the sweet spot size. Although good ball strikers typically find the center of the club face, many have experienced more mishits than expected. This could be seen as a positive though, as it will inevitably force you to tighten your ball contact spread on the face. There weren’t tons of sets of Callaway X Forged 2013’s selling for less than $200, but there were some, as shown above. Be patient, add a lot to your watchlist, and look for listings that you feel like will be undervalued. If you haven’t hit a Mizuno iron, I encourage you to do so ASAP. 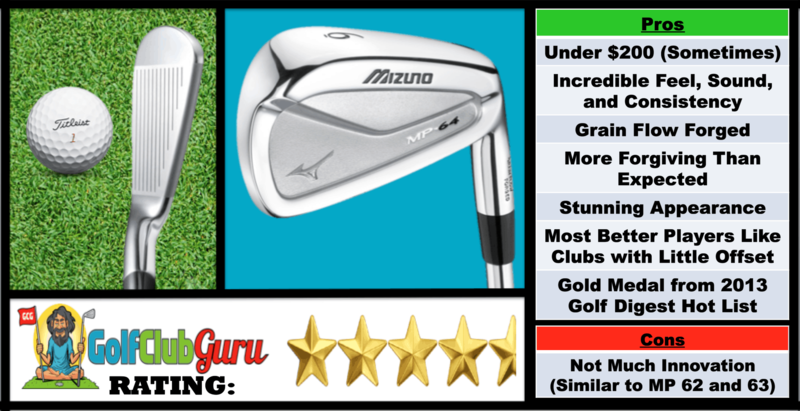 And if you are looking for a good players iron on a tight budget, look no further than the Mizuno MP64. This set, along with generally all Mizuno irons, feature incredible sound, feel, and consistency. They are grain flow forged, leading to them feeling like butter at contact. It’s truly hard to express the feeling of hitting a Mizuno iron square on the face. Surprisingly enough, the MP64’s were more forgiving than expected. Even balls caught a little on the toe or heel felt and flew decently well. With a combination like that (incredible feel and decent forgiveness), they were strong contenders for my #1 pick. I listed one con in the picture above, and that is how there is not much innovation. They are very similar to the MP 62 and 63. Here’s the thing though: they don’t need to do anything extra. They already make solid irons. If they continue to make them, people will continue to buy them, use them a little bit, and sell them on eBay for $200 for you to snag up. As you can see above, you can pick up the 64’s for an incredible deal on eBay if you are patient. If you don’t find a set for sale in your price range, check out other Mizuno MP irons, like MP 63 and MP 64. You can’t go wrong with them! My favorite Ping offering in the past 5 years or so, the Ping i20’s are a sleek looking players iron that has a lot to offer. In my opinion, they are the most forgiving of the 5 listed here, and that is in part due to the stabilizing bars and thicker topline long irons. The long irons are slightly larger and higher launching, therefore more forgiving. The high density tungsten toe weight improves forgiveness across the entire face, while still providing accurate distance control. The short irons, on the other hand, have a much sleeker design and focus on more penetrating ball flights and overall control. 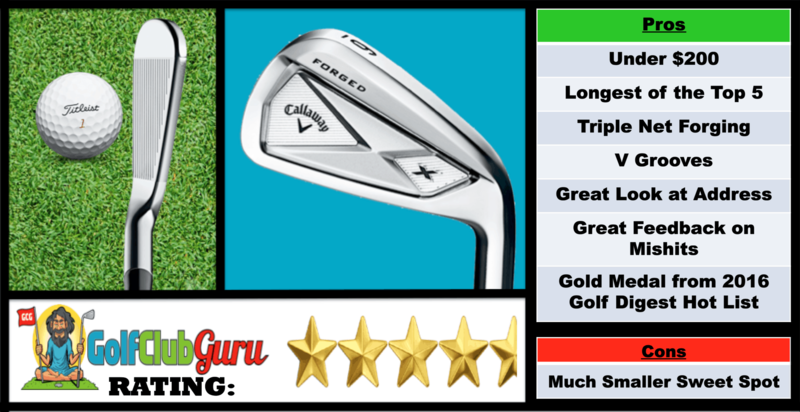 These irons do not provide as much feedback to the player, however, so if this is important to you, I would look elsewhere. But if you are searching for a forgiving, accurate set, seriously consider the i20’s. 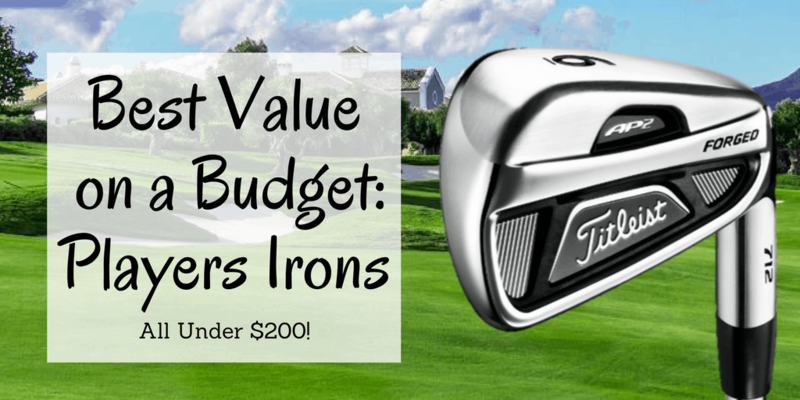 Considering that this set has sold for less than $200 many times, this is easily one of the best value players irons that you can buy at the moment. 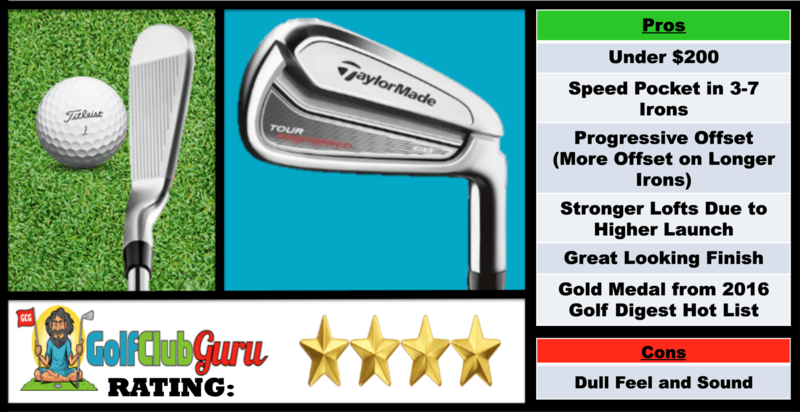 Although it is tough to point out the one differentiating factor of the TaylorMade Preferred CB 2014 irons, they are simply a great overall players iron. The speed pockets and stronger lofts lead to incredible distance (just a little behind Callaway’s X Forged). Based on other players irons, I suppose the somewhat dull feel and sound are the reason why these are not ranked better. However, the distance, look at address, and distance control are hard to beat, and should be highly considered by a low handicap golfer on a budget of less than $200.